When it comes to good oral health, it’s always preferable to avoid having a problem in the first place rather than trying to resolve one after it has already developed. That’s why preventive dental care is so important. Dr. White would like to remind all of his patients from throughout the Dripping Springs, TX, area to visit our office regularly for oral exams and cleanings. Those appointments, in addition to practicing a daily oral hygiene routine at home, are the best ways to maintain good oral health and avoid developing problems in the first place. No matter how hard you work on keeping your teeth and gums healthy by regular brushing and flossing, plaque and tartar still build up over time. The only way to remove that buildup is by having your teeth professionally cleaned. 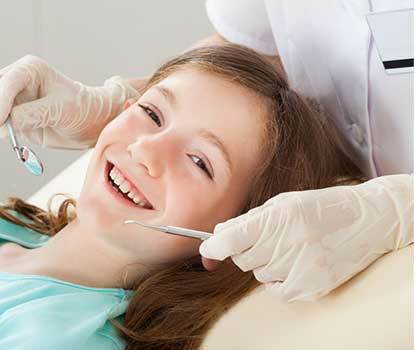 But there are other reasons why routine exams are so important in maintaining good oral health. During these visits, Dr. White will perform periodic oral cancer screening to ensure that any potential issues can be caught in the very early stages, when they’re much easier to treat. Dr. White will also check the health of your gum tissue. Unfortunately, gum disease is a common problem for many adults, and you may be experiencing the early stages of this condition without even realizing it. During your exam, Dr. White will look for signs of periodontal disease and will recommend appropriate actions to take to stop it early on. Schedule your next oral exam and professional cleaning visit by contacting our Dripping Springs, TX, office today.